Europe gets it three days after the Americas. 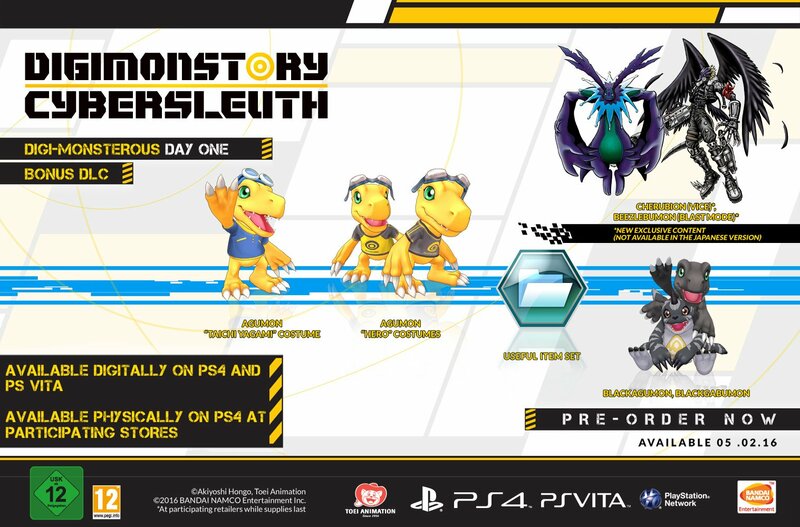 Digimon Story: Cyber Sleuth will launch for PlayStation 4 and PS Vita across Europe on February 5, 2016 Bandai Namco announced. The game will be available physically for PlayStation 4 at participating retailers, and digitally for PS4 and PS Vita via the PlayStation Store. Digimon Story: Cyber Sleuth was previously dated for February 2 in the Americas. Watch a new live stream below.